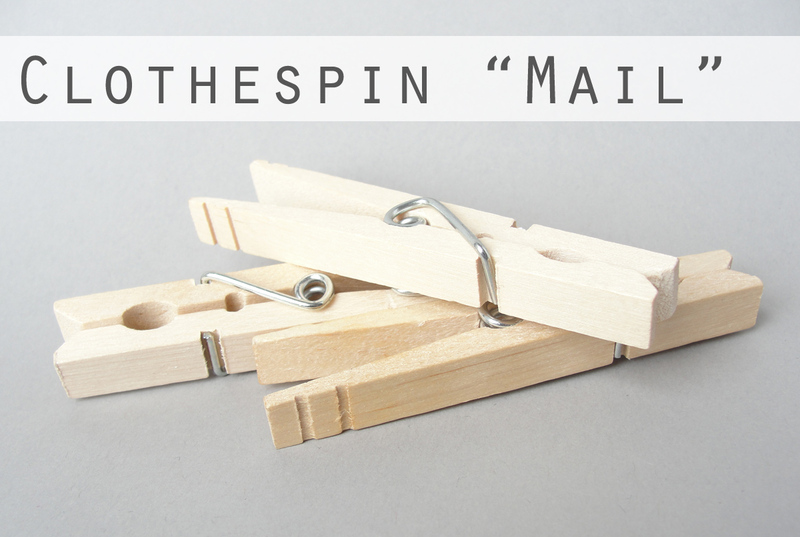 Today’s quick craft creates a hiding spot for a short message on a clothespin. It’s a perfect way to send some love to your friends or hunny. For materials, you’ll need a clothespin with a spring mechanism that opens and closes, as well as some paper, glue, and a fine-pointed pen. I measured out the front “pincher” part of my clothespin. That’s where your miniature envelope will be. For me, I needed to cut pieces of paper that were .5 inches tall by .75 inches long. On the front piece I drew the mock-up of a letter addressed to my boyfriend George. On the other piece, which became the back of the envelope, I drew fake fold marks. 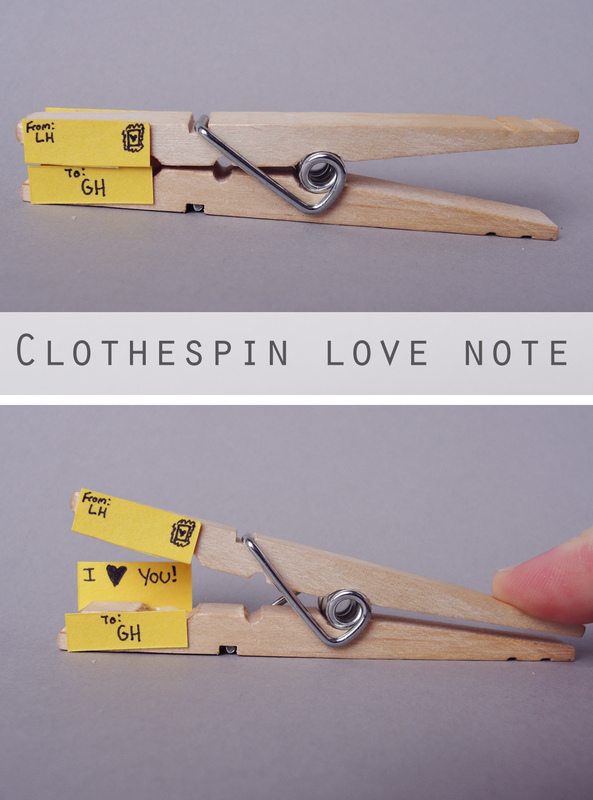 The idea is that when you open the clothespin, you’ll reveal the hidden note. Therefore, you need to cut the front piece in half. You will glue the pieces to the top and the bottom of the “pincher” part of the clothespin. 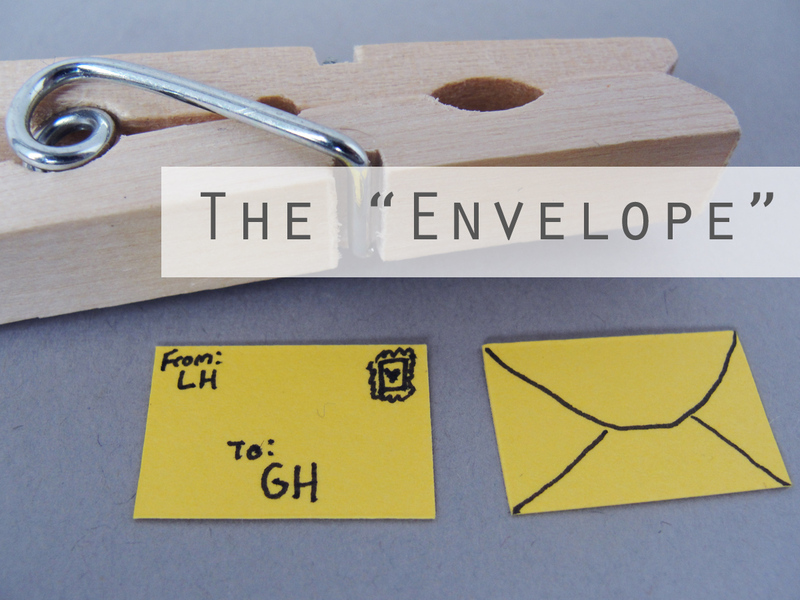 On the other piece of your envelope, which looks like the back, you’ll flip it over and write your hidden message there. 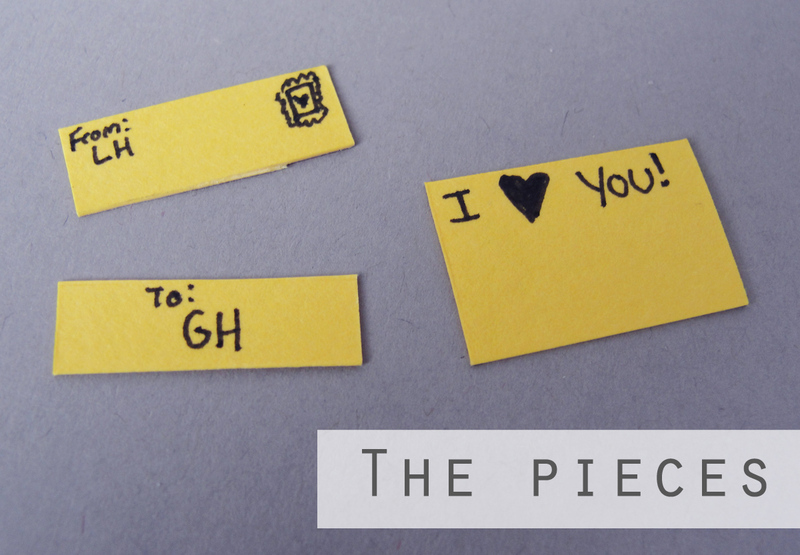 Since I wanted to glue my back to the bottom “pincher” part of the clothespin, I wrote my message on the top of the piece of paper. I used simple Elmer’s glue to attach the envelope cutouts to the clothespin. It’s just that easy! I’m going to mail my clothespin letter to George. I know it’s going to make him smile. ← Winner of Earring Giveaway! Μια γλυκειά και αστεία ιδέα! Αν και μπορείς να προσπαθήσεις για ένα λίγο πιο κομψό αποτέλεσμα! Είναι πολύ ωραίο και για παιδάκια!